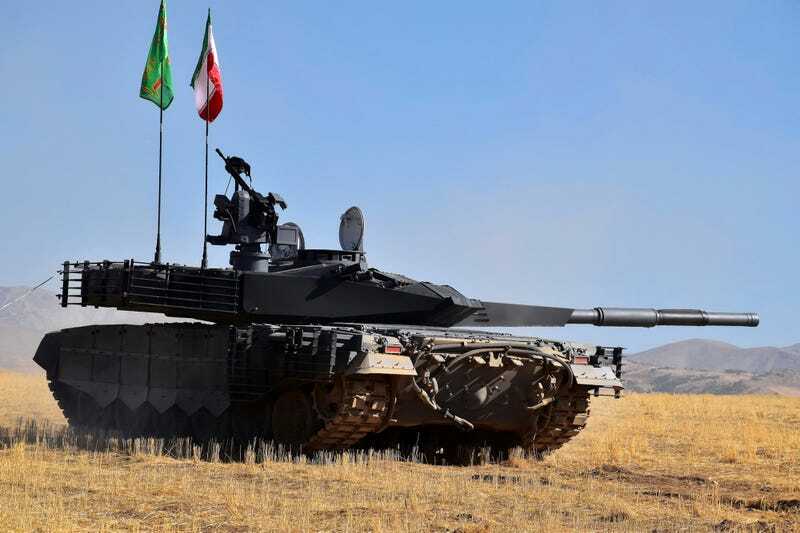 The Iranians unveiled their Karrar tank Sunday, which they’ve claimed can compete with Russia’s T-90 in terms of lethality. Defense Minister Brigadier General Hossein Dehqan said during the ceremony that the Karrar compete with any tank on the battlefield in terms of precision, mobility and power. Sure. Widely regarded as the world’s top tank, the T-90 has a 125MM autoloading smooth bore cannon that can fire 9M119 “Refleks” anti-tank guided missiles that can hit targets on the ground and in the air, as Foxtrot Alpha reported previously. But the Karrar going toe-to-toe with a T-90 is a big boast that that leaves more questions than answers because the Iranians aren’t exactlty known for being on the leading edge of military hardware. According to Dehqan, the Karrar was 100 percent built and manufactured in Iran, FARS News Agency. The tank has is the electro-optical fire control system, laser rangefinder, ballistic computer and can fire at stable and mobile targets in day and night, according to FARS, much like top-of-the-line Western tanks like the American M1 Abrams and the German Leopard 2. Additionally, Dehqan says the tank can move under water and defend itself against electronic warfare. The problem, of course, is that we really do not know a lot about the tank beyond the video clip below, but we can can make a few comparisons between the Karrar and the T-90, its supposed peer. As for the Karrar’s main gun, the specs are not readily available. But the blog Below The Turret Ring notes that the Karrar is very similar in appearance to the T-90. As for the differences between the guns, Below The Turret Ring agues that the Karrar’s gun may very well be a cheaper version of the smoothbore cannon in the Russian T-90MS. That would not make the Karrar the T-90's peer by any measure, because it is likely outfitted with the same gun, known as the 2A46M-2, that was used on the Soviet T-72S from the 1970s. For context, the T-90 entered service in 1993 and is outfitted with a considerably more accurate and durable main gun. Another question about the Karrar is the claim that it can defend against electronic warfare. It’s not clear what that exactly means, but, theoretically, the electronic sensors on modern tanks could come under assault from jamming systems in an all-out war. For all we know, the boasting from Iran’s defense officials could be a propaganda ploy to make the Karrar and their defense capabilities appear more intimidating than they actually are. Ironically, in December of 2015, Iran was preparing to purchase Russian-developed T-90 tanks, but backed out a few months later to focus on a locally-produced tank, which is the Karrar we are talking about right now. 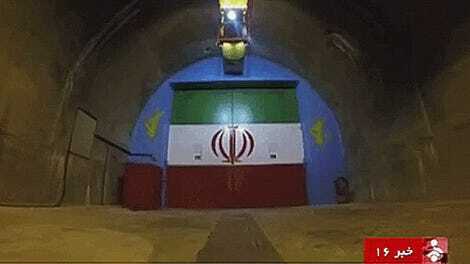 The Iranians have been developing their own hardware since 1979, when the Iranian Revolution took place. After that time, Russia became its top arms seller. As for the Karrar, even if it doesn’t measure up to the T-90, it is a step forward in Tehran’s military manufacturing industry. But until we get more access Karrar’s specs, comparisons to the battle-tested T-90 are likely nothing more than bluster.